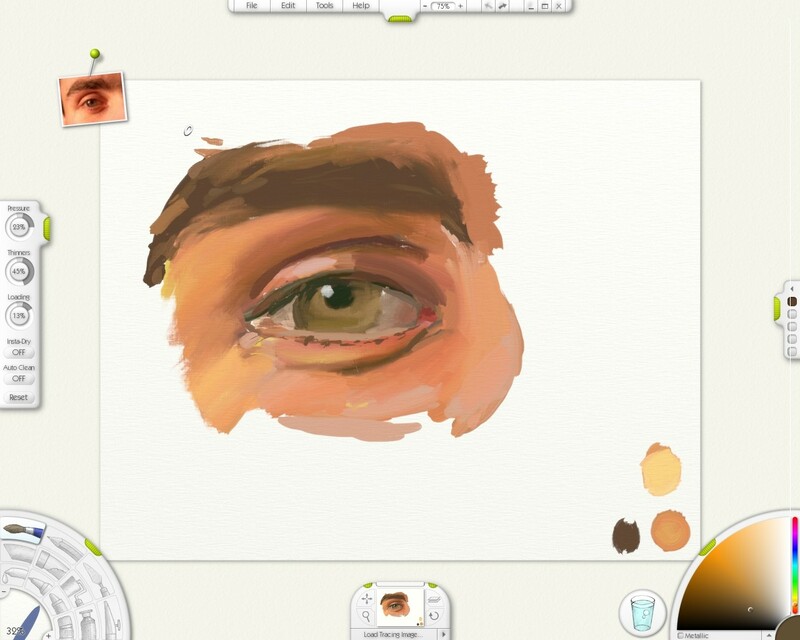 ArtRage lets you do just that in an easy to use, stylish package that gets you painting from the moment you open it up. You can paint with oils, sketch with pencils, sprinkle glitter, and more. You can paint with gold leaf, silver foil, and other metallic colors. 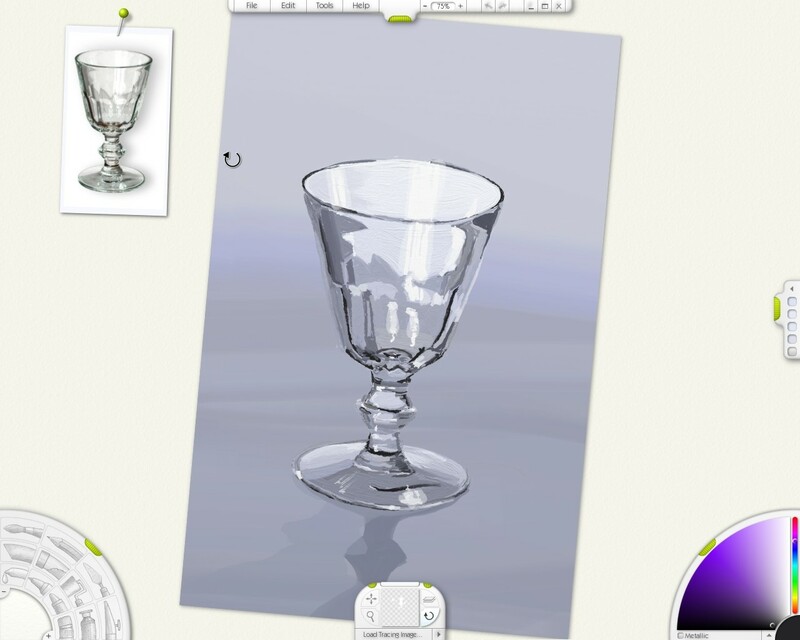 You can even load in your photos as Tracing Images to help you recreate them as paintings. This program is *very* addictive. Paint really behaves as the real thing but now you have the extra benefit of undo and no cleaning your brushes! My favorite feature is the ability to rotate your canvas just like i always need to do in real life if i want to draw a straight line, in some angles i just cannot do it with a fixed canvas. There is a free version and a professional version that cost a whopping $19.95US. Looks like 'Painter', but suppose alot more simplified? Paintings look pretty good though; did you spend alot of time on them? This is such a great program... I agree with the addiction thing... it really is. It's like drawing with a stick of heaven. I love everything I can get with the free version - maybe I'll get it sometime! Those are some wonderful "doodles"! I wish I could draw that well... I'm tempted to ask the same question as Stefan - how long did they take you? ok ok ok ... someone had better pry the digital brush out of my hand.... this program is incredibly addicting. I can't believe how well it mixes colors on the canvas. i can't wait to see the full version. if you guys haven't downloaded it yet.. you're truely missing out.